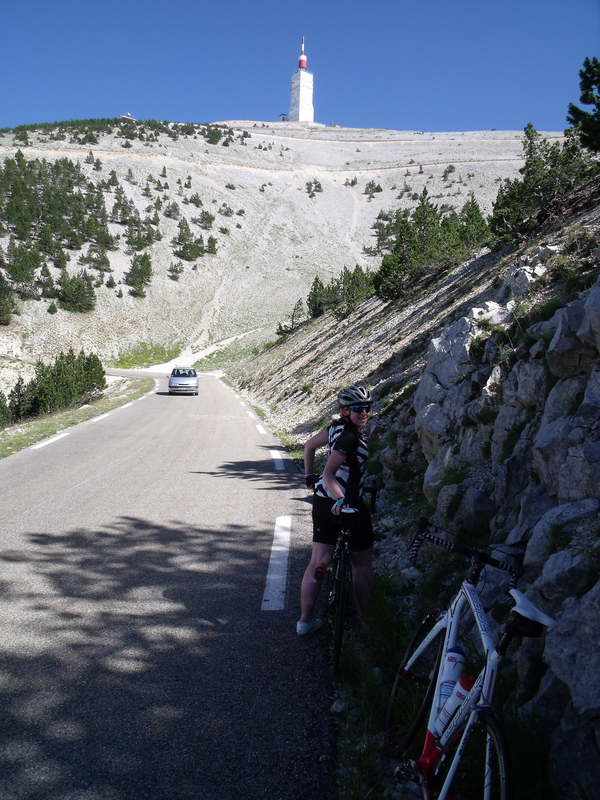 After a year I still hadn’t been able to get some words together to do justice to the Ventoux trip. There was a bit of video (and more still unedited), a stack of photos and a heart full to bursting of incredible memories. 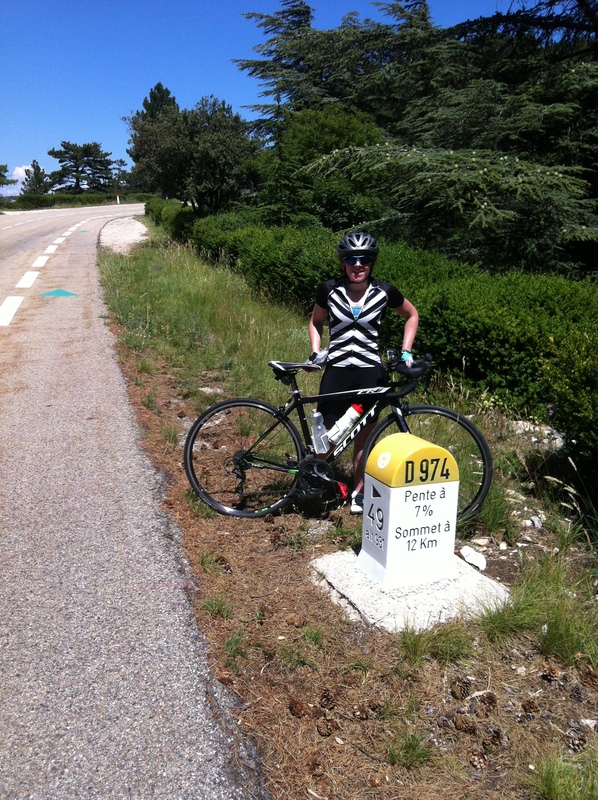 And then today, a year ago since I rode up Ventoux with my dad, the words seemed to come. 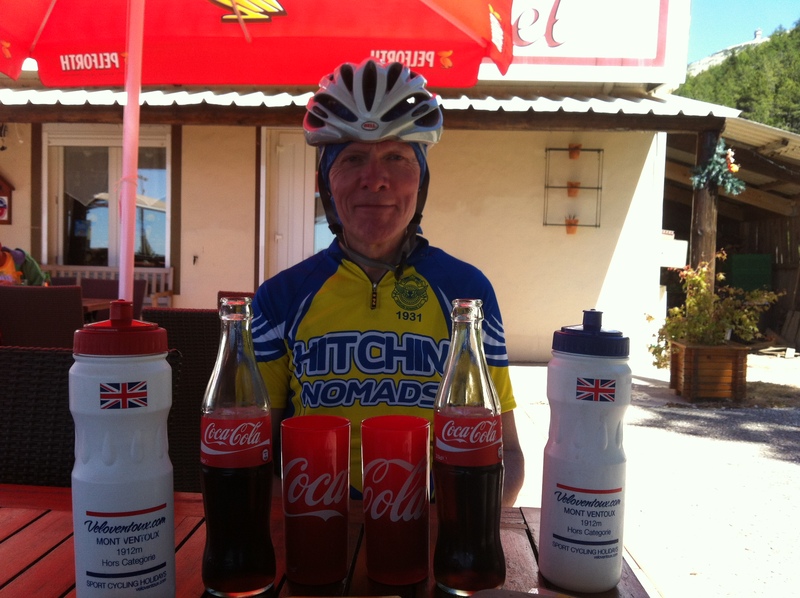 The cyclist Tom Simpson had been my dad’s childhood hero. Dad grew up in West Bromwich and then in Beckenham in south-east London, and his dad used to take him to Crystal Palace to watch the cycle racing. Dad describes being unable to take his eyes off an incredibly charismatic racer, and being inspired to take up racing himself. Tom Simpson died on July 13th 1967 (when my dad was 13) on Stage 13 of the Tour de France, having almost reached the top of the notoriously brutal climb that is Mont Ventoux. I’ll put aside the issue of drugs in cycling, and sport and those associated issues. Watching the Pantani film that was released recently, the footage of Simpson’s death is utterly shocking regardless of opinions and what was the accepted norm of the day. My own childhood was spent supporting Dad at his races. We would marshal, help with catering, and collect from A&E as required. If he did well, he’d win a few quid on a prime (a sprint within a race) and we’d go to Little Chef on the way home. This was the early 80s, money was incredibly tight all round, and this felt like a huge treat. July came each year, and at 6pm each day we would all sit in front of the telly to watch the Tour de France coverage on Channel 4. My favourite riders, for somewhat childlike reasons, were Laurent Fignon (because he had glasses like me and a ponytail so he looked different to the others), Marco Pantani (because he had an earring and a pirate-like bandana and those awful denim print shorts so he looked different to the others) and Phil Anderson (because he had a ponytail and rode for Team Z and I thought their jerseys were the best ones). Childcare was slightly unusual at my house. My mum is a musician, and with dad being into his racing, their weekends and holidays took some planning. It was only a couple of years ago that my mum told me they would sit down with their calendars at the start of the year, put in all their concerts and music courses (mum) and races and training weeks (dad), and negotiate any clashes. I never remember either of them not being there so they did a pretty fantastic job I think. Dad never quibbled when Mum spent a huge amount on a new bassoon (a five figure sum in the mid 80s) and Mum never argued when bike bits/bikes needed buying. Having one parent in charge and a younger brother to deal with as well, there was no room for much choice of activity but I was happy enough being where my dad was, whether that was at an air show, a cycling road or stage race, a speedway match or a West Bromwich Albion match. Thanks to him I seem to have inherited a love of crap football teams, having also adopted Manchester City (in the late 90s so really crap then!) and Colchester United as alternative teams over the years. My brother was very ill with asthma as a child, and during one recovery period, Dad took me to watch the Paris Six Day races to get us both out from under my mum’s feet. I think I was about 7 or 8, and I adored being in the velodrome. It was so exciting and energetic and alive. There was live music in the middle, and whenever there was a sprint, a very loud and dramatic siren went off, the band started playing a particular tune and the accordion player started to jump and leap around on the stage as though his life depended on the speed of the music. It was very different from soggy Sundays at Eastway and on the roads around Kent and the South Downs. 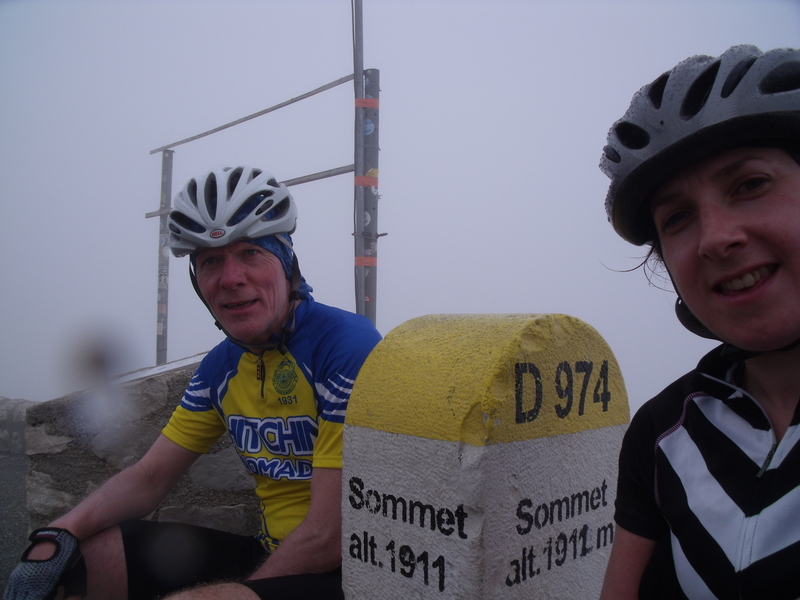 For various reasons, Dad never got to ride up Ventoux, although his dad drove him up it one holiday. When his 60th birthday came round, the conversation turned to marking the passing of the years, and he announced that 2014 would be the year. “Are you serious?” I asked. “Deadly,” he said. My brother has young children and couldn’t get away (although he would have been a much better cycling companion based on experience!). ”Can I come? “ I asked. “Are you serious? It’ll be very hard and you’ll need to do a lot of training,” he said. “Deadly,” I said, and the challenge was on. I was quite enjoying my cycling since training for a triathlon and so I offered to be domestique and sort out all the arrangements. Training was tough but I absolutely loved it. I soon learned to clip into my pedals, and endured the various embarrassing skin-scraping falls, normally in full view of either the fast boys from the local cycling club or sympathetic dog walkers. I learned to climb, to stay relaxed, to ride for miles, to eat and drink on the go (which took almost as long to work out as figuring out the pedals). I was absolutely determined not to let my Dad down, as I knew that if I gave in at any point on the day, he would probably not want to leave me and would therefore miss out. I also really, really wanted to bag the summit – all those years of watching cycling meant I knew how big a deal it was within the cycling world, and I really wanted a piece for myself. I’m not naturally sporty, I’m not fast at anything, but maybe, just maybe, if I trained really hard, I could do it. Before Ventoux, I’d done a marathon and an ultramarathon. 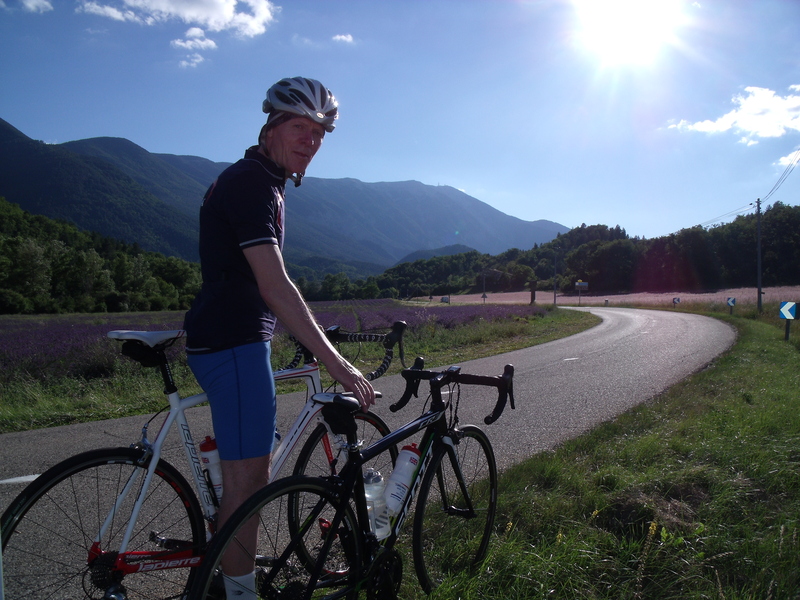 In theory, Ventoux would be a much quicker undertaking. I had run for hours and hours at a time with no real issue, and yet I was terrified about the climb. The main reason? If you are running up a hill, or even on the flat, at any point you can take a break and walk. This isn’t unusual in marathons, and is pretty normal in ultramarathons. But, if you are cycling and you get off to walk, you are not cycling any more. If I stopped to walk, I wouldn’t have cycled all the way up, and I really wanted to say I had done so. I also hadn’t quite cracked getting started again up hills when clipping back into the pedals. My right leg is significantly weaker than my left, and I really struggle when pushing off. It was also going to be baking hot. Provence in July, starting at 1pm for historical accuracy. We were going to potentially melt into the tarmac. This wasn’t something I could train for in Scotland under any circumstances. There was a high probability of storms and extremely high winds (and I’d experienced plenty of that) but there was nothing I could do to prepare me for the heat. I rode up as many hills as I possibly could, I rode a lot when I was knackered, I rode up big hills at the end of a long ride. I studied the profile, both the formal and the informal version. The informal view – I can’t find the source of this fantastic picture – if it’s yours please let me know! The day was nothing less than epic. All the landmarks were there, experienced in full. Bedoin was buzzing with brightly coloured lycra. The left turn at St Esteve. The brightly coloured writing all over the tarmac, left from previous Tours. The marker posts. The forest, everything that had been promised and worse. Stopping briefly, chatting to a French motorcyclist who spoke no English. Waiting for my dad who is terrible in the heat these days. Worrying about pushing off up the hill. In awe of my dad’s skill on a bike as he not only pushes off uphill, but keeps his hand on my back while I clip in and get going again, speaks to reassure me and maintains his balance all at the same time on a gradient of around 10%. Desperately wondering where the hell Chalet Reynard was and starting to panic as to whether I would ever see it. The relief of seeing it, and the flattening gradient as we turned into the car park. The novelty of the barman asking if I’d like ice when I asked if he could top up our bidons. The sheer utter paradise of a shared can of freezing cold Coke, and the quick return of some energy as the sugar and caffeine hit us both. Knowing we would be going back out to sharper gradients. Turning round the bend out of Chalet Reynard and seeing the mountain drop away to our left. Riding into the storm clouds. Headlights on the cars coming down. Navigating by white lines on the road. Pulling in to stop at the monument. The kindness of a French gentleman who knew what day it was, and who had stopped at the monument to pay his respects, then seeing two bikes at the bottom, offered to take our picture. Shared memories held by him and my dad. Discovering he’d lived in Scotland and worked in Assynt for some years as a geologist. Carrying on into the storm, feeling the wind, rain and hail in our faces. Knowing the bit at the top was really steep, not knowing which road to take and nearly getting blown over. Then it stopped. We were in the wrong place, at the bottom of some steps. Climbing those steps, slowly as our legs had not walked in a while. Seeing the summit marker. Sitting briefly. Chatting to another French guy on an old BMW motorbike. Him: You have ridden from Bedoin? Us, breathlessly: Oui. Today? Oui. You are riding to Malaucene? Oui. In this? Oui. Alors!! Oui. Would you like a picture? Oui. You are mad! Oui. Setting off down. Feeling the cold now that we are moving quickly through the biting wind of the storm. Squeezing my brakes hard and feeling my fingers against the icy cold levers. Then not feeling my fingers at all and trying to make them work so that I don’t hurtle over the side of the mountain. Sharper hairpins, steeper slopes on this side. Teeth chattering hard, shivering violently trying to keep my body warm. Stopping shivering and starting to really worry. Losing concentration, praying to be warm again before it was too late. Feeling the temperature rise again as we descend. Feeling the relief that I have survived this. We stop for a little while for a break from the wind, we are quiet and not on for sharing much of our exhilaration as it has now turned to fear and cold. Feeling the warmth starting to return at last. Feeling the evening sun on our skin. A gentle cycle back through the farms and vineyards. We are exhausted, and glad we booked dinner at our accommodation. They saw the storm from the bottom of the mountain and were worried for us. We arrive late but the welcome is warm and everyone is excited for us. We catch some of the Tour footage, barely enough energy to speak. The next morning we decide to ride again, this time a gently undulating circuit around the mountain. 70 miles of rural French roads, in the sunshine, with stunning scenery. We are warned the Gorge will be warm but it’s pretty flat. The Gorge is hotter than hell, and is very gently inclined for 12 miles. We are exhausted from the day before, and yet we are unable to help ourselves. We just want to ride, to experience this incredible place. It’s a circular route and there is no quick way back. I hit my lowest. There is nothing left. My legs are barely turning the pedals, but I keep doing so because it is the only way to make it all end. I don’t have the energy for tears. A Frenchwoman who is part of a motorbike touring group sees my head dipping to my chest over my bars. I can’t hear anything else she is saying, but she has lifted me enough with those words, and I smile and puff out my feeble thanks. I will never forget her, she still brings tears to my eyes whenever I think of that awful moment in that gorge. It was one of the worst moments of my life, and she quickly turned it into one of the best. We are totally unprepared for what comes next when we leave the gorge. Lavender fields, as far as the eye can see. The smell is indescribable, mixed in with pine needles and the sweet smell of herbs and olives growing. We see Sault coming towards us, and our spirits crumble a little as we can see a steep hill leading to it. As we get nearer, it’s not so bad. We stop briefly in Sault for a quick Coke top-up. We roll onwards, gently downhill. The evening sunlight is stunning. We ride through wide valley, filled with lavender. We roll through the small village of Aurel – golden. It is much cooler now and the gradients are much more to our liking. We talk, about time and life and those back home. There are more climbs but again these feel very minor. We realise we are almost round the mountain and not far from home. It is Bastille Day and when we get back, we are too late to get dinner at the small café we visited on the first night. However, the owner takes pity on us and gives us a takeaway – two slices of a savoury pie and two slices of apricot tart. The next day, we rest. Or my wise Dad does. I head out with my running shoes, keen to enjoy some of the trails on the side of the mountain. But I am exhausted. There is nothing in my legs. It is far too hot. I am dizzy and lightheaded and unable to follow the route, I miss turn after turn and finally I admit defeat and head back to the hotel, collapsing into the sofa with a pile of books and a drink. However, unknown to me this proves to be a useful recce, as I have driven past Chalet Liotard. It’s the last day. 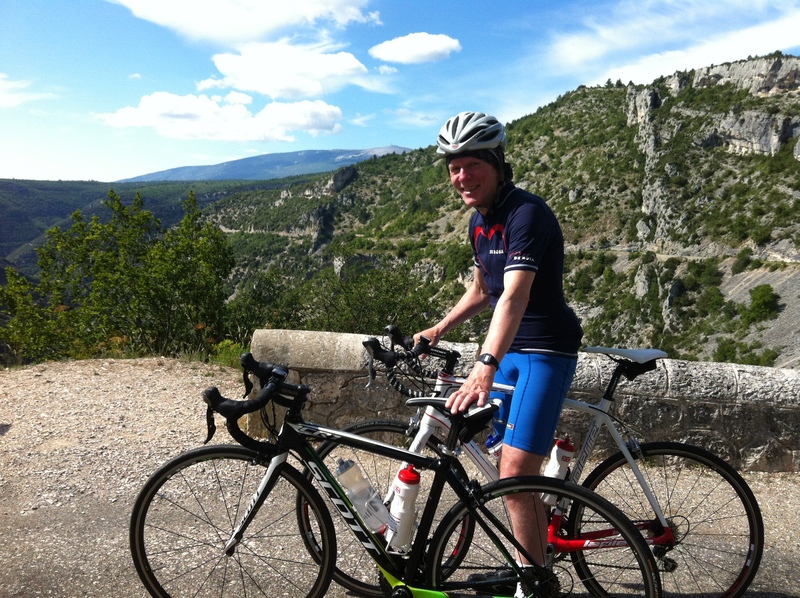 We have shelved the idea of a day out to Avignon in favour of more cycling. We are utterly exhausted, from two heavy days on the road and from the heat. 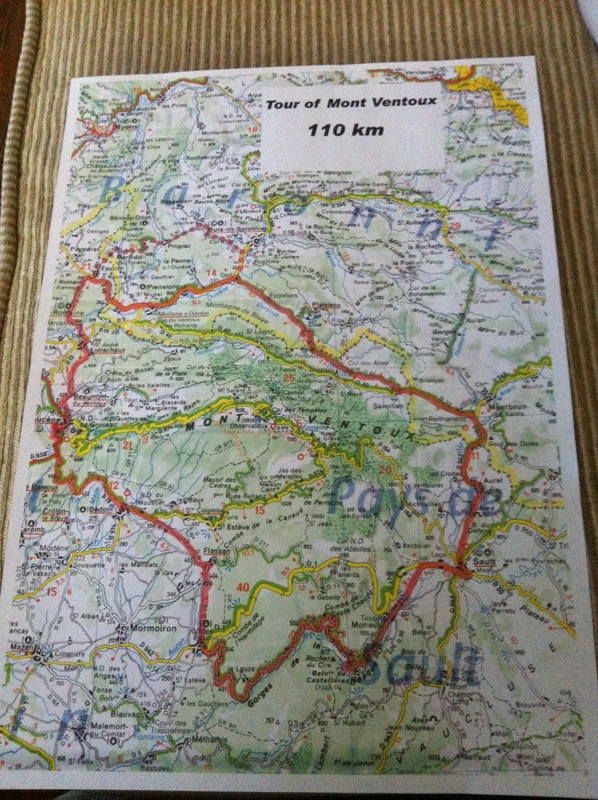 The night before, we spoke of another trip up Ventoux. Before the trip, I had said I might have a second go but it would be via the easier Sault route – starting from a higher point, and longer therefore less steep. Dad wants to try the Malaucene route and I find myself agreeing to give it a go. We both know that if we give it a go, we are not for stopping half way. It is baking hot again, all the way up this time. The gradient is more variable, with lots of recovery slopes that ease off in steepness. There are almost flat sections, and we chat about hopes, dreams, fears and ambitions. This is one of my Dozen Days, sharing my Dad’s passion for cycling with him in an incredible place. And then it comes. Back to brutal again. Steeper gradients but less sustained. We both start to struggle, and take our time agreeing to push on but wait for the other further up if they need to rest. At one point, I am so exhausted I can barely see, partly because of the sweat rolling into my eyes but mostly because it is so hot and I am working so hard. I am using the white lines to keep me going in a straight line. I am counting, as I always do when I am struggling. It takes me four pedal strokes to cover the distance of one broken white line. Then five. It is neverending. I pull over, taking a long drink but knowing it is not doing much in terms of reviving me. I wait a while. Dad comes. He asks where we are, if there is much more. At this point, I am able to say confidently, no Chalet Liotard is just two bends away. 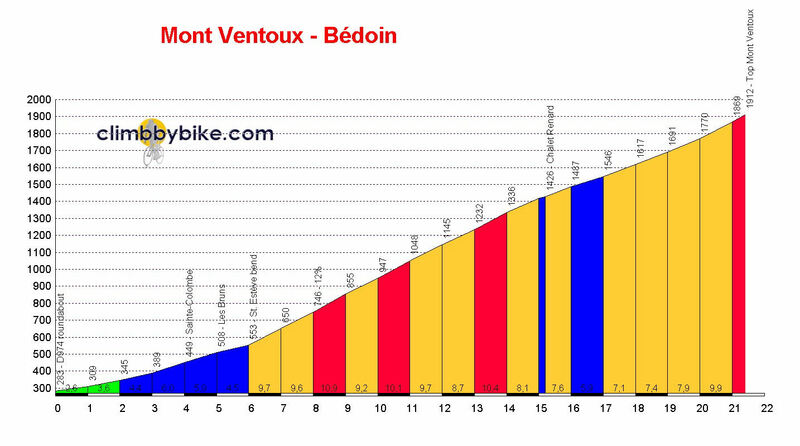 I know from the profile that the gradient is much easier after that, and we are just a few kilometres from the top. We wobble into the Chalet Liotard car park, hanging our bikes on the racks and edging slowly we tap our way across to the shaded seating area. We order ice lollies and Coke, taking a longer rest this time. Then we are on our way again, gradually making our way to the top, hairpin after hairpin. It is a totally different environment this time. It is a similar time of the day, but this time, the souvenir shop is open, there are a couple of market stalls, and we were clapped and cheered as we reached the summit. Both of us are wasted. We could not have climbed a moment longer. Dad is very quiet. We spend a few moments looking around us and taking some pictures. And then we head down. The descent is warm this time, and breathtaking. Everything that was hidden in the storm on our first time up is now revealed below us. The landscape is utterly bare until we reach the junction at Chalet Reynard. We go down via the Sault route this time. We are surrounded by lavender again. We take a slightly different route back after passing through Aurel, and thanks to some fairly swift descending wherever possible, we are home just before we would have needed lights on our bikes. We receive another hero’s welcome, with a group of cyclists who are due to head up the next day grilling us for details. Another group in the hotel are from where my dad grew up and their children all go to his old school. It is a small world, and they all happily swap stories and tales that grow taller as the evening goes on. Returning home was hard. We were exhausted and it took longer to recover than I allowed, and my body let me know in some fairly serious ways. The sun was less bright, the hills were smaller and life was altogether less exciting. Gradually, I came back to earth and recognised our Ventoux trip not for what we left behind, but for what I took away with me. The unshakeable knowledge that when the heat is literally on, I can do it. 1. Good equipment makes life easier. A triple chainset saved my bacon. 2. When you look at something in front of you that seems steep/hard, don’t forget what you have already ridden up/survived. 3. Love conquers mountains! Happy birthday Dad.